Every year we are giving rainy season promo for our regular clients and trekking enthusiasts who are waiting for cheap tour packages. This year, we are giving the cheapest tour ever. Read the mechanics carefully then grab your keyboard and register because this promo is only for the first 500pax. We will be closing the registration once we reach our target. You must settle your payments and ask your team to sign the waiver. we are expecting that you already discussed this with your team. 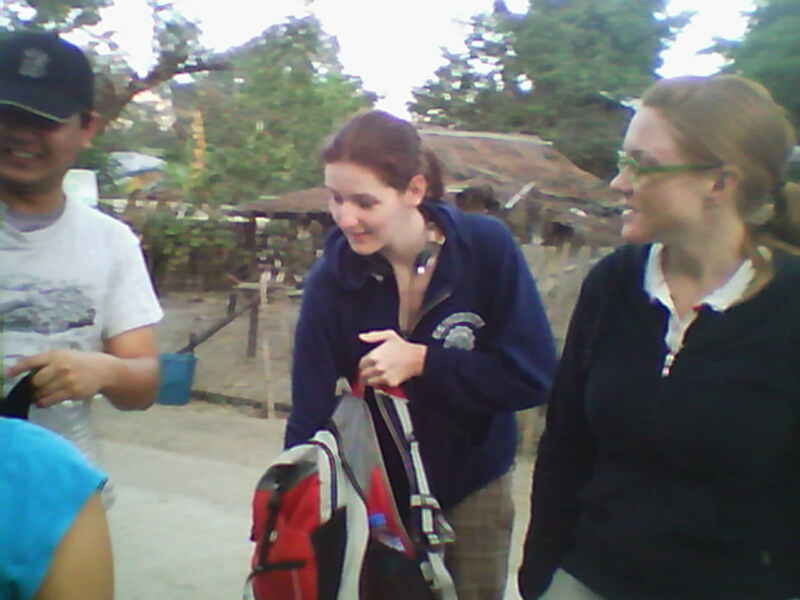 The Local Tourism and Local official will check our clearance and gatepass. Gatepass is a mandatory requirement to climb. Organizers will secure this document for you and this is the reason why you have to register you name, age, address, nationality and person/no. to be notified in case of emergency. These are required info in securing your gatepass. The Tourism officer and Local Official in-charge have to sign the documents for approval. 11:00am – Final Check Point. The Philippine Air Force is in-charge of the security in the area. They usually make the final decision whether they will allow us to climb or not especially during rainy months which is from July to November. Military activity are usually held in the area and they are giving us time frame to pass, usually 7 to 7:30am before closing the road. Nobody is no longer allowed to climb once the road are closed. 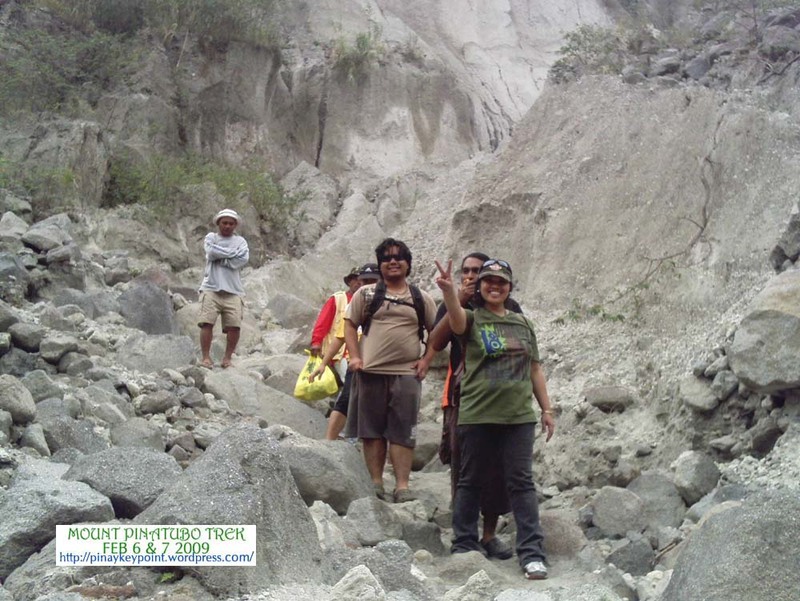 Final take off to Mount Pinatubo. Very bumpy and dusty ride. You need towel and mask to protect yourself from dust. Prepare yourself for a very rough terrain ahead. Remember, you are conquering a volcano and ‘no pain-no gain’. 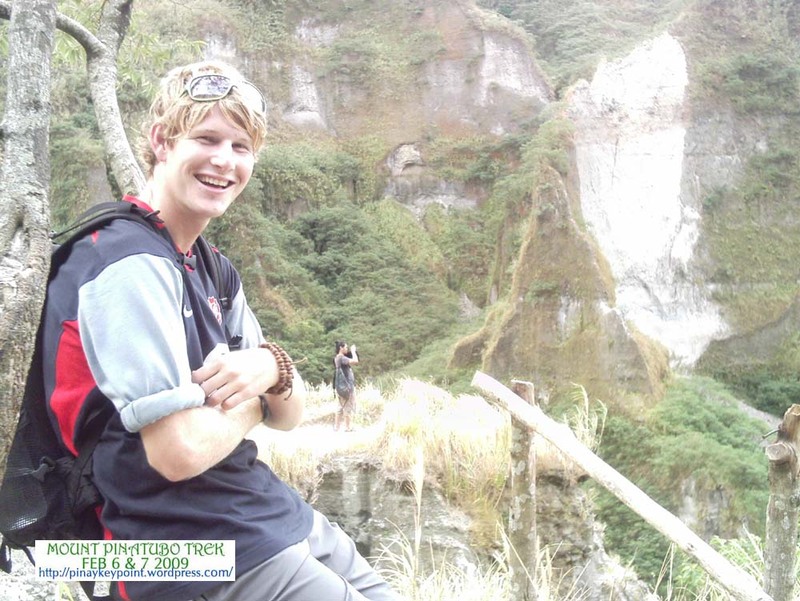 This will make you realize the significance of Light Packing because believe me, you will feel the weight of your back pack after 30 minutes and it’s no joke, the longer the trek, the heavier it becomes! Wear proper footwear to protect your feet. Using socks is highly recommended. This will save your lovely feet from blisters. Believe me, most of my clients are swearing their’s footwear’s brand after the trip because of blisters and bleeding. Don’t just rely on your shoes. Bring your extra slipper. This will make you comfortable and flexible. 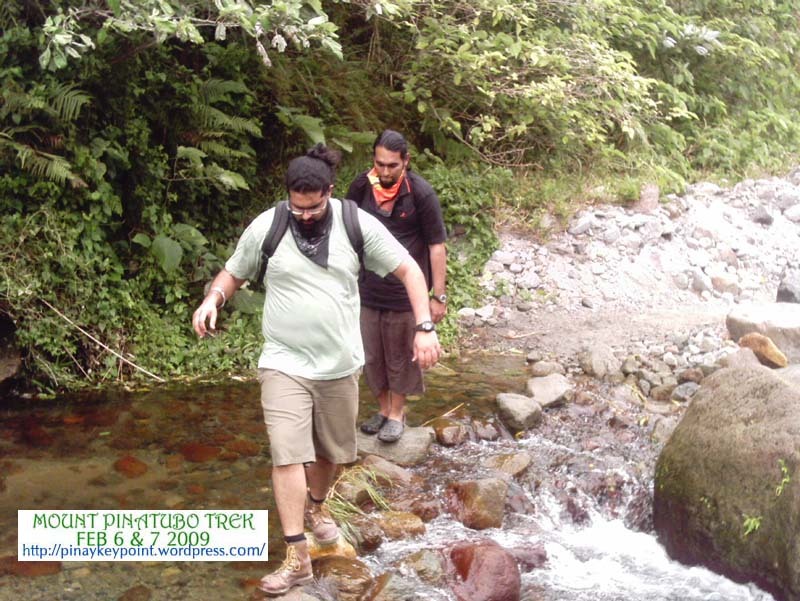 Trekking might be very tiring so take a break from time time. Inform your guides that you want to take some rest so they can wait for you. Never cope up with fast paced trekkers, most of the time this is the reason why some tourists will just fall and collapsed. They are too shy or too proud to say that they need some rest and pushing their limits. It’s a no no! Remember, we don’t have an ambulance here. You have 2 choices, ask your group to be patient and wait for you or spoil the entire trek! …you have to ensure that you are wearing a durable footwear! 1:30pm – Few meters away is the ReyCat station. It is named after our previous municipal mayor, Reynaldo Catacutan who is the person behind of these development. 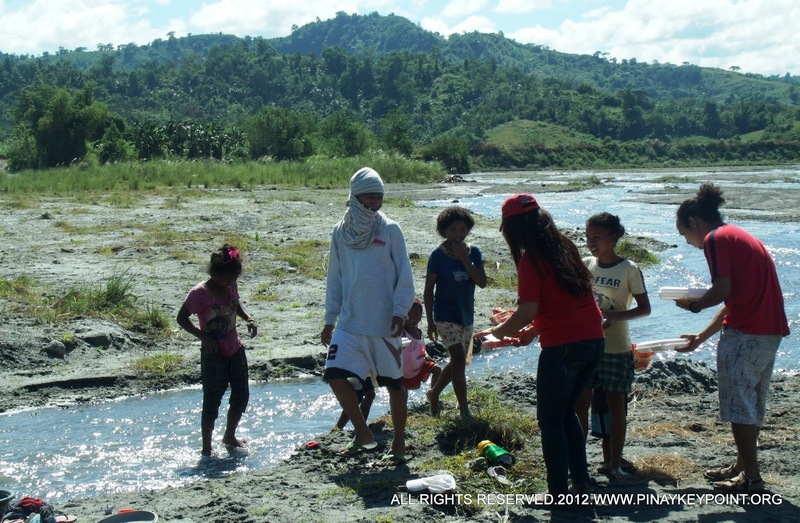 ReyCat played a vital role in advancing the Tourism Industry of our town, Capas which eventually gives an employment to many, not just the local town’s folk of Capas but the adjacent places as well. This is also the old 4WD jump off point but because of several strong typhoons, trails were destroyed and it will take some time before it can be rehabilitated again. The remaining 30 minutes is Bush Trekking. You would see wild trees and ferns. Don’t try to pick and eat fruits if you’re not really a mountaineer. Some wild berries are available but if you cannot identify it it’s edible then, forget it! 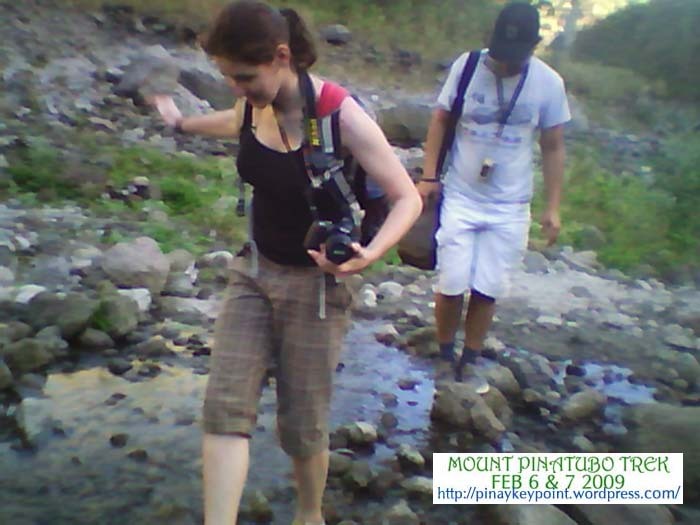 …before taking another steps again going down to the crater side. This is roughly 198 uneven steps without railings so be careful and ask inform your guide if you are afraid of heights. You may opt to just stay at the viewing deck and wait for your team to come up. We are not allowed to camp beside the crater lake for safety measure. The viewing deck was developed and we are encourage to use this place for overnight camping activity. 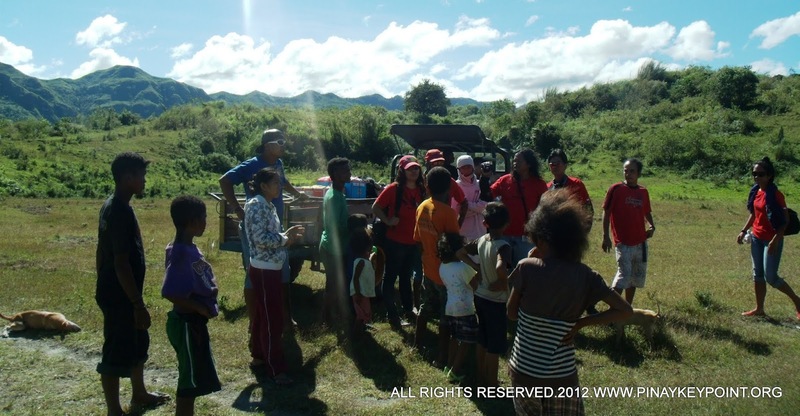 This is more convenient because of the availability of rest room and water system. Overnight camping will not be complete without the bonfire magic. 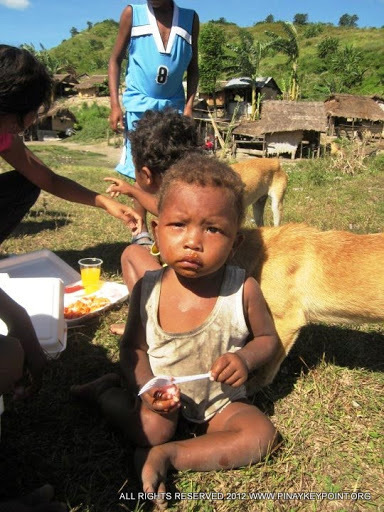 The local aetas usually pronounced it ‘vampire’ 😉 so don’t ever get them wrong if you hear them say that they will gather woods for your ‘vampire’ lol! To add some excitement, you may bring few hotdogs and marshmallow…. The difference of taking a boat ride in the morning is to save your skin from the heat of the sun. This activity is available only during summer. We don’t really encourage swimming at the crater because according to PHILVOCS which regularly conduct routine check in the area, it’s roughly 280 to more than 300 feet deep. Bear in mind that this is not a beach, It is a stratovolcano! and it is sharp deep just few meter away from the crater side. We don’t have a stand by life guard in the area so as per Local Tourism advisory, we are not allowed to swim because we will not be liable if you are drowned. But typically, people are hardheaded and they would insist to take a quick dip. 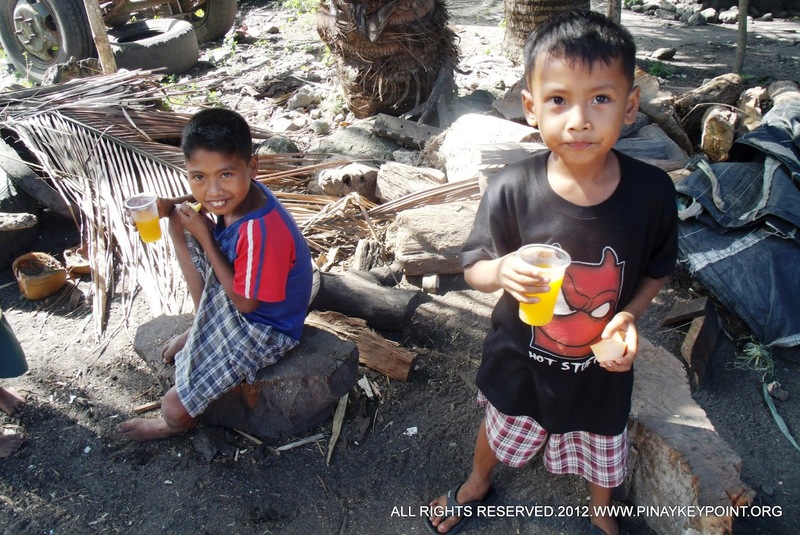 Pinaykeypoint is providing arm floaters to ensure that you are safe. Inform us if you plan to use some and keep in mind that swimming at night is strictly prohibited. Pack up time at 9:00am. It may be earlier or later depending upon your request but not later than 10am. Remember we are just paying for our personnel a 24hours rate. They might charges us an overtime if we exceed with the time limit. 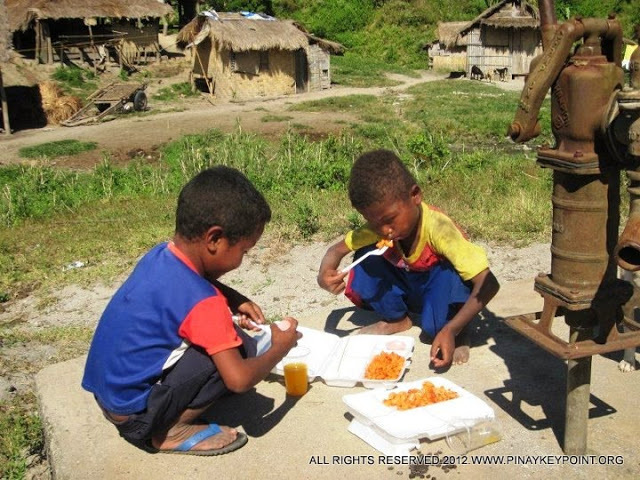 Be a good neighbor, we encourage that you do some charity with the local Aetas before or after your trekking activity. 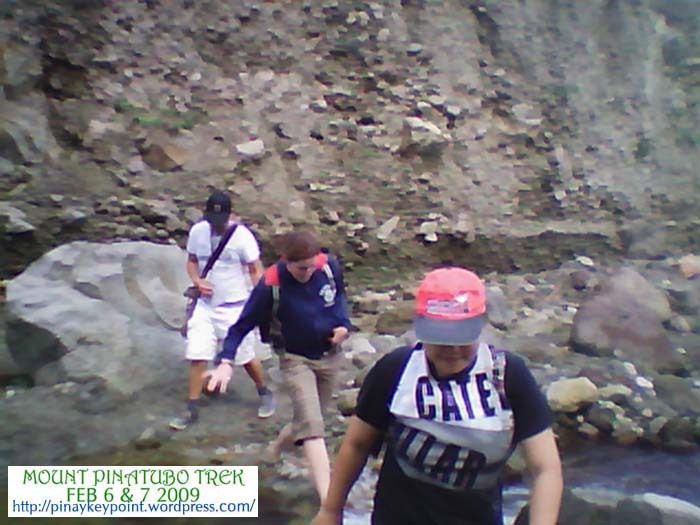 We usually send trekking reminders to help you in packing. If you’re a team leader of your group, you have to ensure that info is properly disseminated among your team to help them pack the necessary things. Most of the time, Team Leaders were blamed by their members on the final trek date because they failed to forward or discuss these important reminders. PACK YOUR THINGS RIGHT & LIGHTIt’s really a no no to pack things as if you’re going in a holiday abroad. Please note that you are going to a mountain so please don’t bring bulky baggage because it would make your trekking difficult & tiring. Pack only what you need. You may prepare 2 bags, the back pack that you will bring when you climb & small bag for things that you will use after the trekking. You may leave this at the dispatching area, in your car or in a paid locker with key. Please use medium sized back pack. It’s just a one day trip so the lighter, the better. Just limit your baggage from 3 to 4kilos. Furthermore, you need to cover your things, mobile phones, wallets & camera or any other electronic gadgets with zip locked plastic to ensure safety. Please note that some of my past clients who disregarded this particular reminder were caught in the midst of heavy rain as they descend from the mountain and their cams & phones were soaking wet. Personal stuff: toothbrush, toothpaste, tissue, comb, shampoo, alcohol, liniment etc.. The principle, “the lighter, the better” is the rule of the game. Footwear will depend upon your preference but as per experience, the most convenient & safe are rubberized footwear such as crocs type of footwear. If you prefer to use trekking sandals such as tribu or sandugo, we strongly advise using socks to protect your feet from blisters. This happens most of the time. Don’t forget to bring an extra slipper, this is mandatory because if your shoes, failed you then you still have an extra footwear and will not walk barefooted afterwards. Please email/contact us if you want to join these dates. Only emails with contact numbers shall be entertained Thanks! 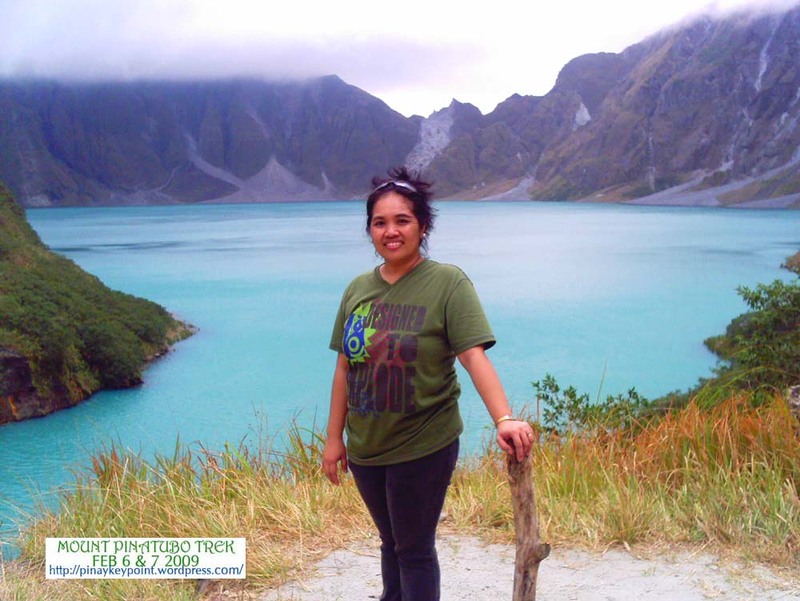 Over the years, since it’s eruption in 1991, Mount Pinatubo gradually change its features and turned into a beautiful tourist attraction. It never fails to amaze tourists from different corners of the world by its Majestic Beauty. 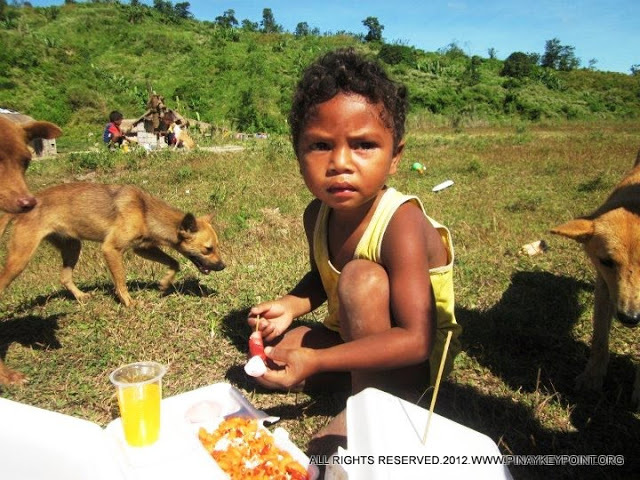 The photos below are taken during our numerous expeditions. We are covering each tour and web albums are created for each group of clients. 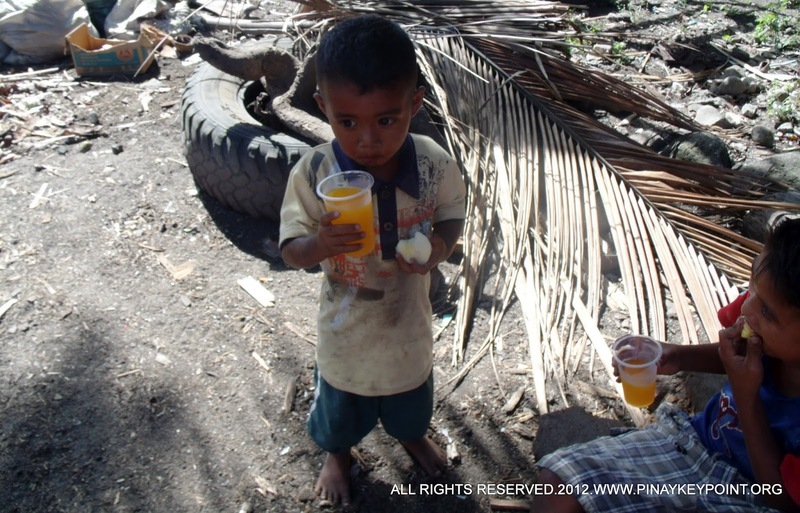 These photos are uploaded in a paid storage of our Picasa Account. 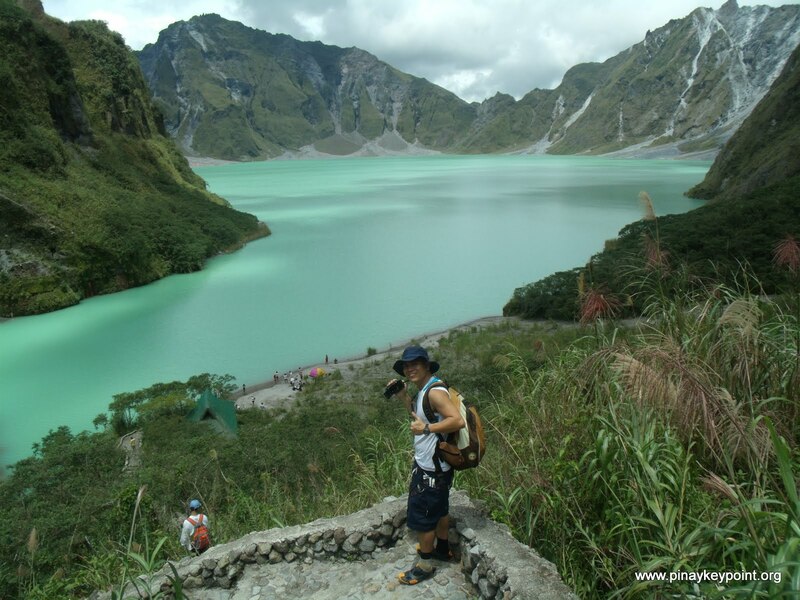 Every Month of each year, we noticed that the crater lake gradually change it color. At times it is muddy, murky green then will turn into turquoise after several rains. According to Philvocs which usually conducts a routine check in the area, this color change is weather dependent. 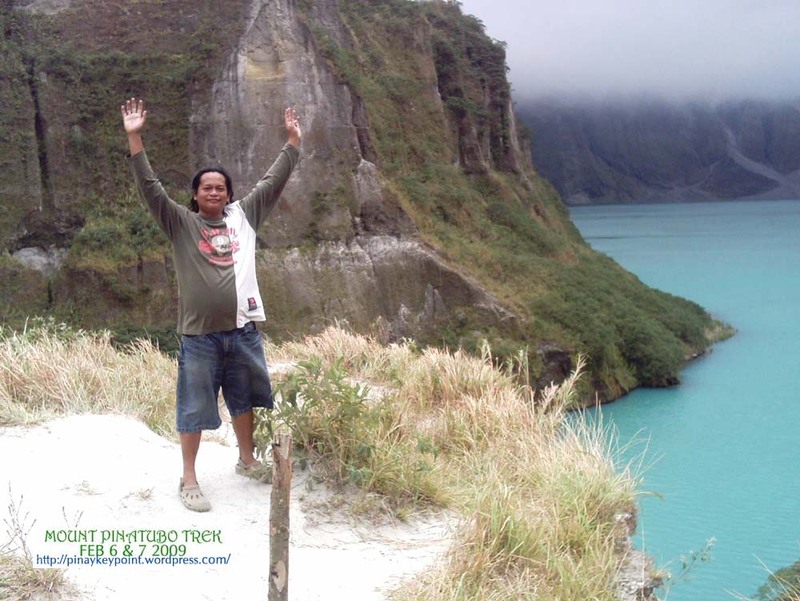 We are posting some photos from our gallery of Trips and this will show us how Mount Pinatubo Cater Lake changes its color and feature over the years. 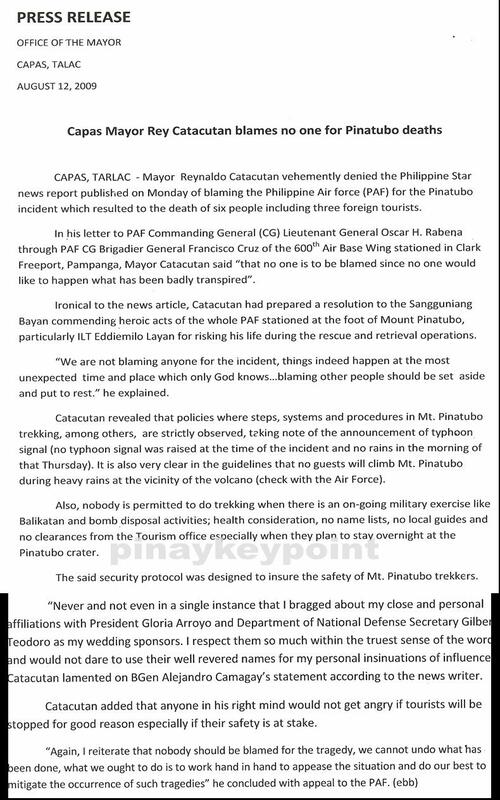 There were different versions regarding the recent Mount Pinatubo incident. 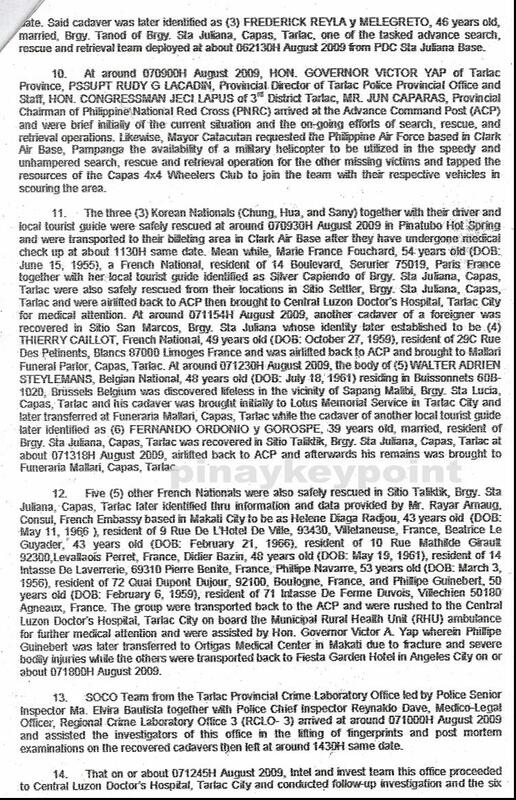 While scanning the newspapers, I noticed the names of the victims were different from one paper to another. I also received so many inquiries both on my mobile phone, landline and email regarding the actual account of the incident. Some were coming from my previous clients asking if those where from my team or if those guides where the one assigned to them when they hired our service. 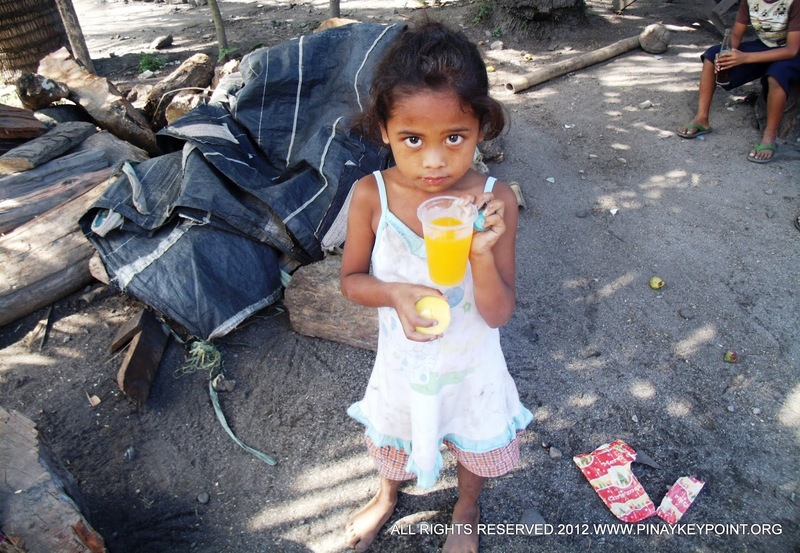 But most of the inquires are coming from radio/TV stations and newspapers. I was in Bicol Region when this incident happened. 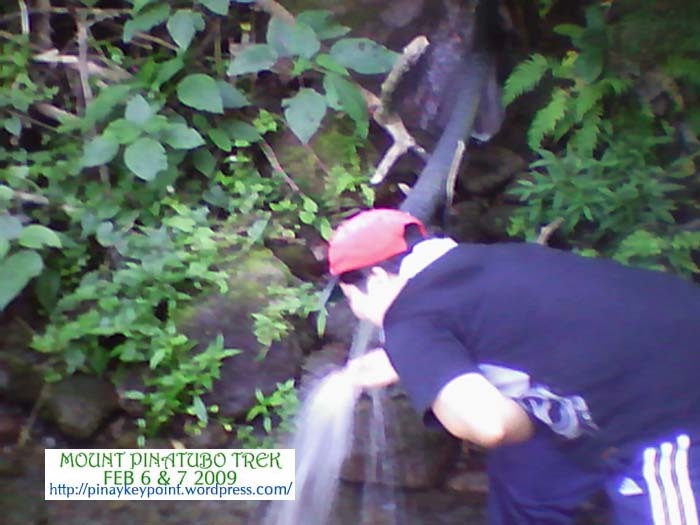 Our 2 Trek schedules last August 1 and 2, 2008 were both booked to me while I was in Bikol. I have another schedule booked for August 6, 7, 8 and 9 . These groups have already sent their partial payment thru, paypal, xoom and some were thru bank transfer a week before their schedule. 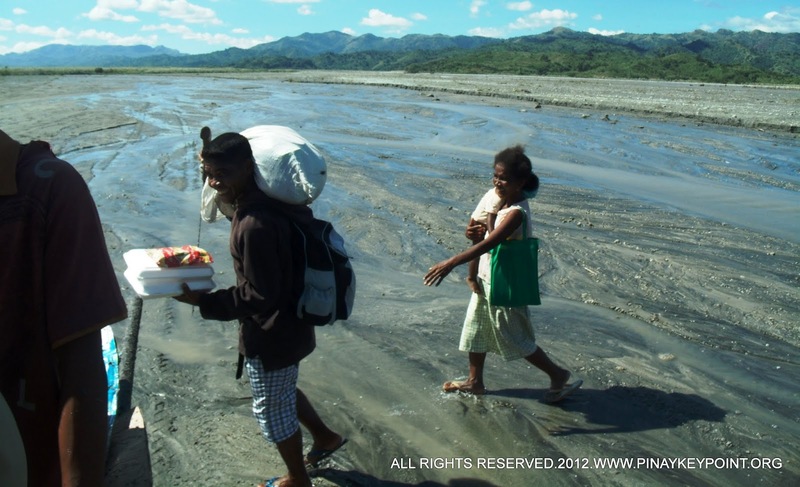 Typhoon Kiko had passed our place (Naga) and based on my past experience, typhoons from Bikol will likely to pass Nort Luzon in 2 days time so I decided to cancel these groups and I posted here that I am cancelling all trips to Mount Pinatubo due to bad weather. I am doing this even without the advisory from Tourism office. 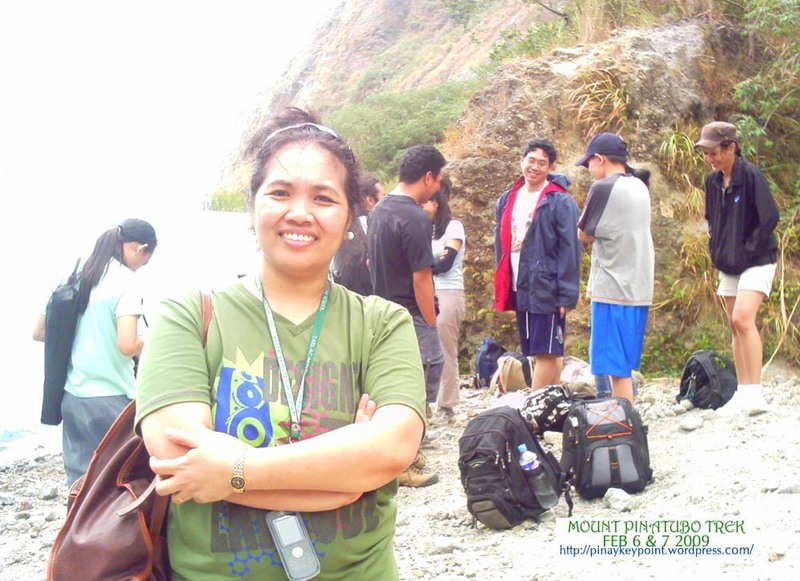 At first, my clients were so disappointed, especially Miss Charlene who had planned her trip to the Philippines and climb Mount Pinatubo for quite sometime. She’s from Singapore and booked her trip to me a month earlier and we were chatting about her preparation almost everyday. 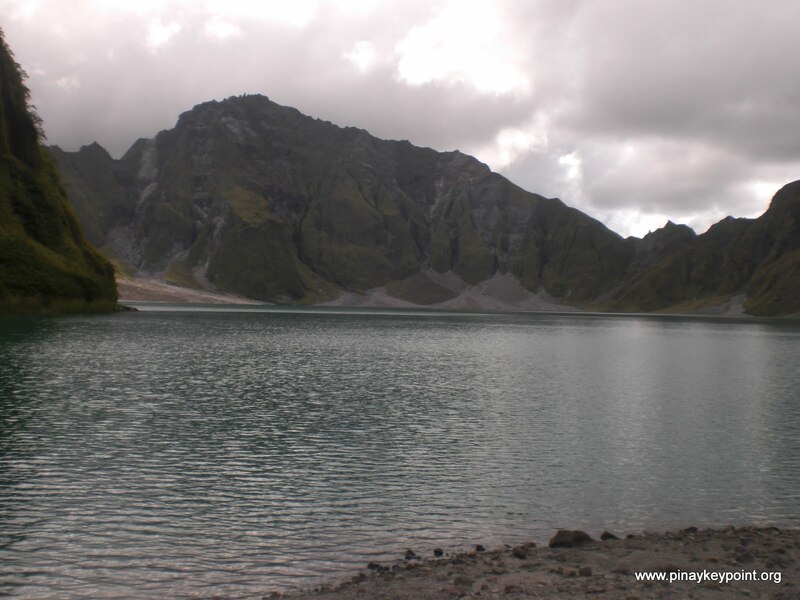 I also have clients from Hongkong who will be arriving on the 8th and will just visit Philippines primarily because of Mount Pinatubo. I really had a hard time explaining to them that I can’t allow them to trek for safety reason. In the end, we agreed to return their payment and other groups re-scheduled their trip at a later time. When I received a call from the media early in the morning after the incident, I was so shocked upon learning that 2 foreigners died and there’s a rescue operation to find the rest of the group. Reporters were asking me if those where from my team, I told them that I cancelled all trek schedules in my website and I still need to clarify for the actual reports so I never make any comment regarding their inquiries. A day after, there were so many news reports but most are misleading. 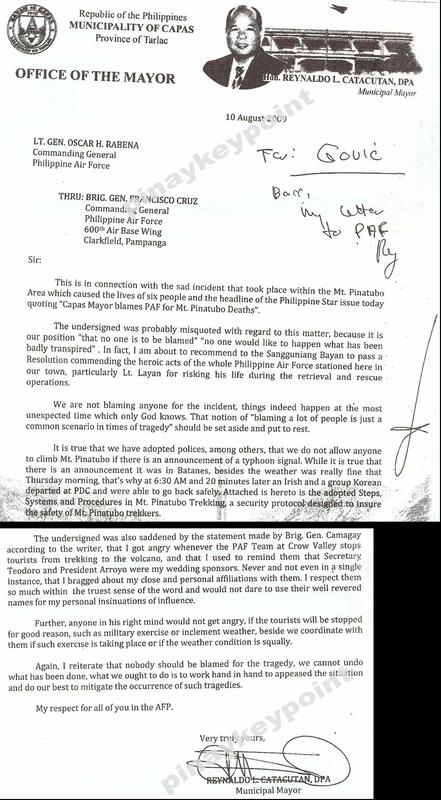 Capas Municipal Mayor, Reynaldo Catacutan summoned a meeting last August 10, 2009. Said meeting was attended by representatives from different travel agencies, trip organizers, 4×4 jeep drivers & operators, Tourism staffs at representative from the Philippine Air Force. Actual accounts of the recent incident has been discussed and we were furnished a copy of the press release and police report. 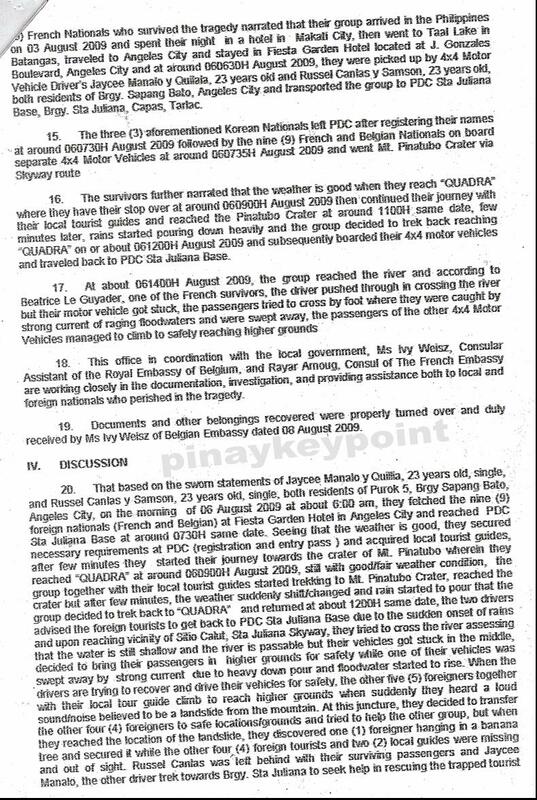 Below are the scanned copy of the said documents. Please click the image for bigger view. I hope that this will enlighten all the presumption of the reading public. 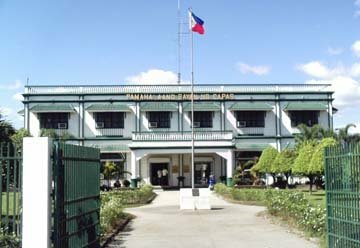 As a result of our previous meeting, a public hearing has been held yesterday, August 18, 2009 at Sangguniang Bayan Session Hall, Sangguniang Bayan Bldg., Municipality of Capas. 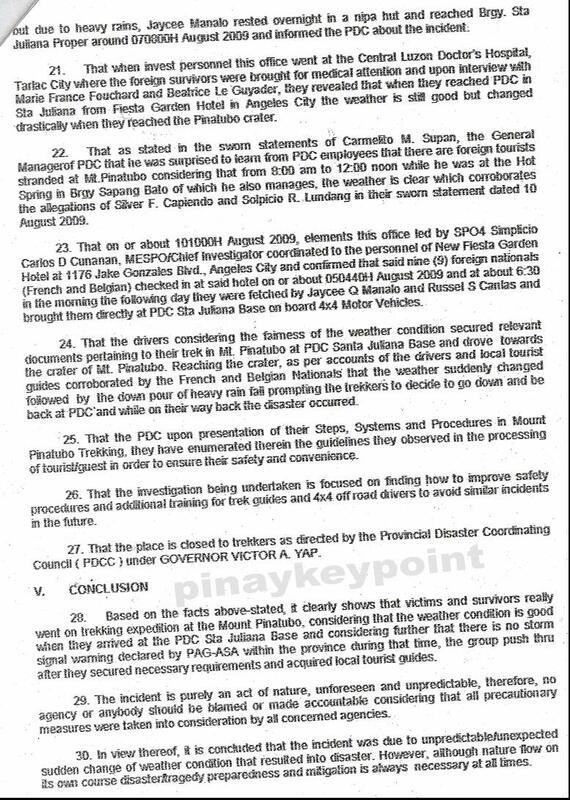 Based on the documents below, this is a legislative inquiry in aide of legislation by the Committee on Environment and Natural Resources Chaired by councilor Ricardo L. Galang for the proposed adoption of a “Comprehensive Safety and Contingency Plan” aimed at deterring the happening of the recent typhoon Kiko tragedy at the environs of Mount Pinatubo. 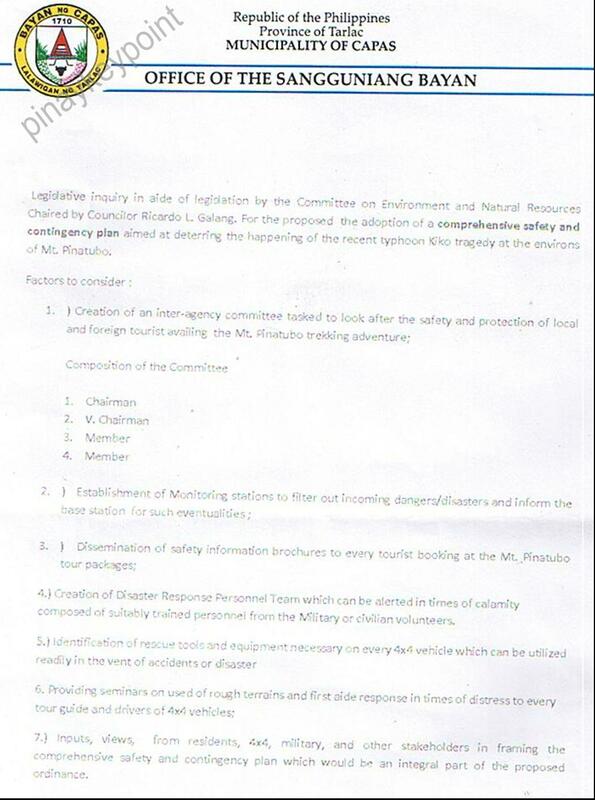 Creation of an inter-agency committee tasked to look after the safety and protection of local and foreign tourists engaging in trekking adventure. Establishments of monitoring stations to filter out incoming dangers/disasters and inform the base station for such eventualities. The idea is to create at least 4 stations; at the “Kwadra (4×4 jump off point), Hot Spring, Skyway & at Baranggay Sta Juliana. 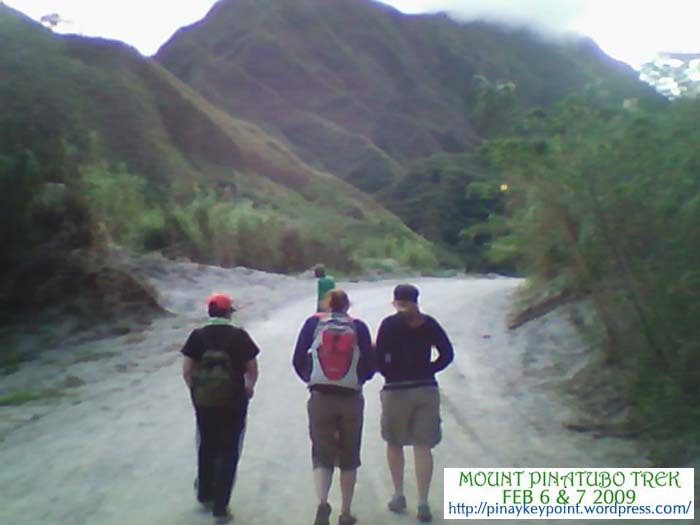 Dissemination of safety information brochures to tourists booking for Mount Pinatubo tour. I mentioned that my team are already implementing this given the fact that we are holding an actual briefing prior to dispatching and distribution a waiver to be signed by every trek participants. 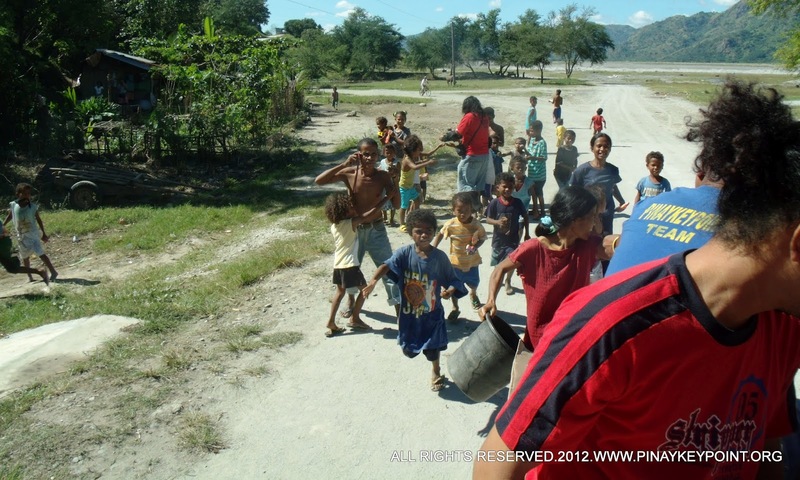 Creation of disaster Response Personnel from the military or civilian volunteers. Identification of rescue tools and equipment necessary on every 4×4 vehicle which can be utilized readily in the event of accident or disaster. The idea is that every 4×4 operators must provide life vests for every tourists riding their 4×4, a hard hat/helmet and a radio antenna to facilitate effective communication. This is mandatory for every 4×4 jeep to ensure safety. These will be checked by the staffs of DOT (Dept. of Tourism), Staffs at the office of the Baranggay Captain at Sta. Juliana and at the Air Force checkpoint. These are the 3 clearance points before final dispatching. No 4×4 jeeps shall be allowed entry without these mandatory safety equipments. 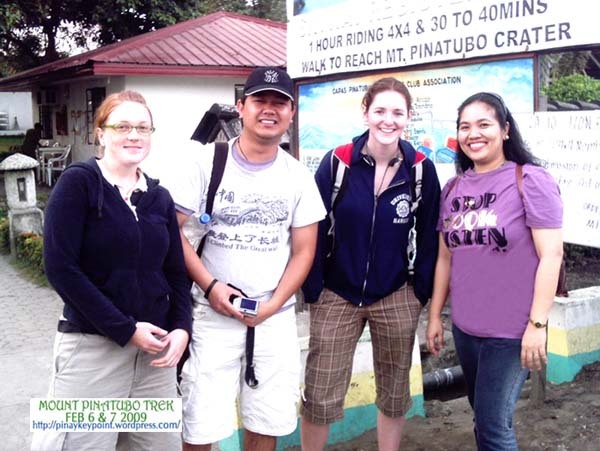 Providing seminars and first aide response trainings for every tour guides and 4×4 jeep drivers. It is also mandatory that they know how to swim otherwise they will not be allowed to be an official guide servicing the area. The body is open for any inputs, views and suggestions from the residents, 4×4 jeep’s drivers & operators, trekkers, trip organizers, travel agencies, stakeholders and other concerned sectors and organizations in framing the comprehensive safety and contingency plan which would be an integral part of the proposed ordinance. So if you have fruitful ideas in mind, please email it to us and I will be glad to submit it at the Local Tourism Office and post it here as well. So far, these are the unities at the said public hearing. Time frame of of 20 days to 1 month or more shall be given to all persons concerned to acquire mandatory safety gadgets & equipment and trainings before opening the trekking activity. 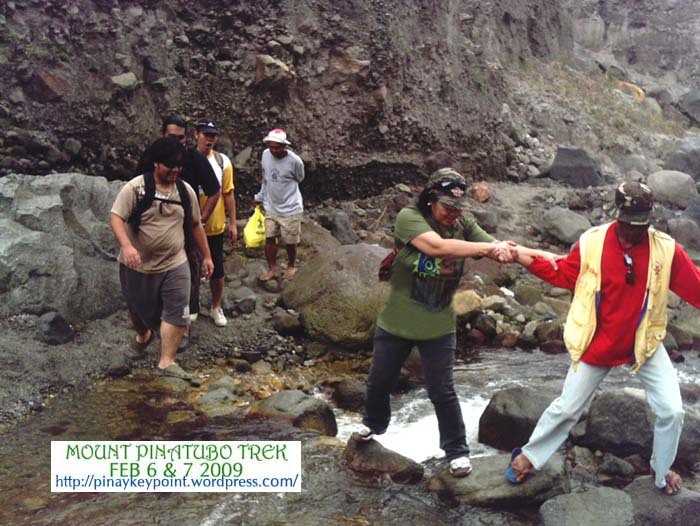 Hopefully, after compliance to all required safety equipments, trainings and clearances from the institutions mentioned by the Regional Tourism Office, Mount Pinatubo will be open for business again and maybe it’s not a very long way off since most of the people concerned are joining their hands in achieving this at the soonest time possible. 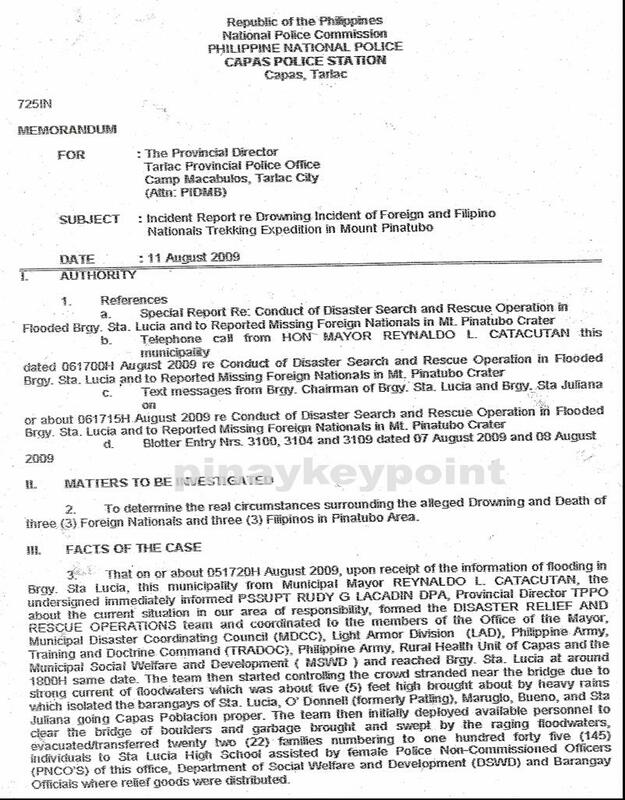 Mayor Reynaldo Catacutan summoned an emergency meeting at Capas Municipal Hall last Monday, August 10, 2009. Said meeting was participated by different travel agencies, trip organizers, tour operators, 4×4 jeep associations, tour guides, local officials, representatives from the Air Force, Capas Tourism office and other concerned sectors engaged in Mount Pinatubo activities. 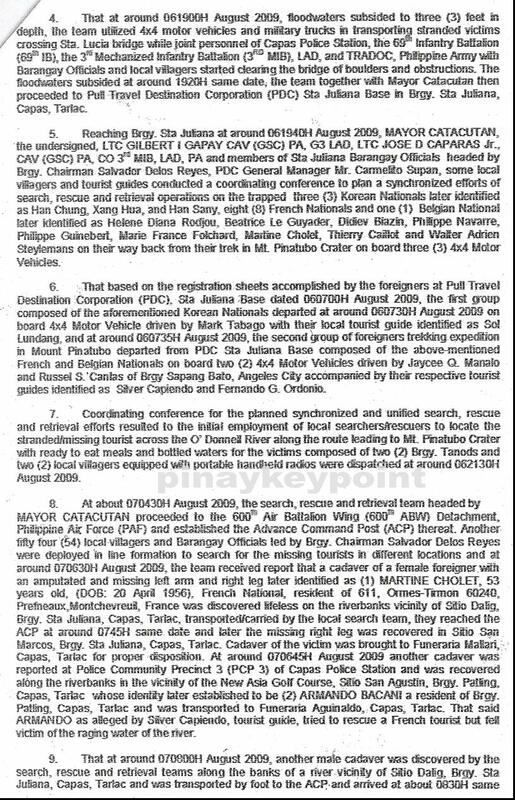 Facts regarding the actual accounts of the recent typhoon Kiko tragedy resulting to 6 casualties have been discussed. The meeting primarily aims to formulate new guidelines and policies which shall be strictly enforced to prevent another incident in the future. 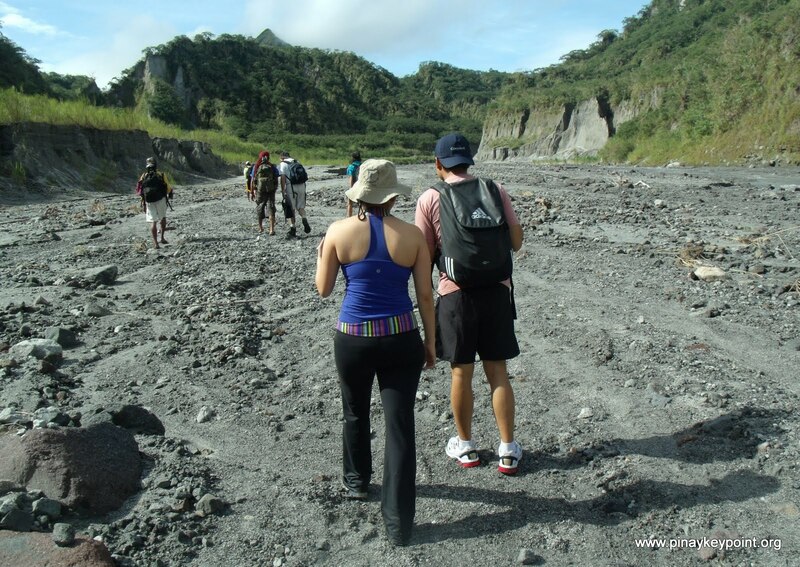 ….My deep sympathy to my fellow trekkers & tour guides who lost their lives during the trek to Mount Pinatubo. To my fellow trip organizers, travel agency & tour operators: Let’s be more strict and be aware of the weather before dispatching our team. Let this incident serves as a lesson to all of us…. As a trip organizer, negotiation is the hardest part of my duty. I think it’s harder than the old route to Mt. 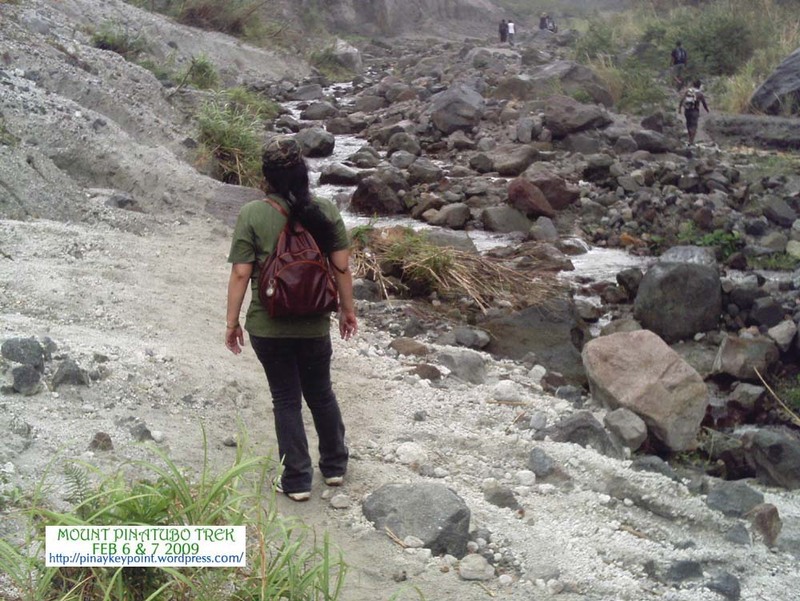 Pinatubo wherein you have to trek for more than 2 hours passing bigger boulders and streams. “Wala bang discount?“ or “student lang kami“ or “we’re on tight budget we dont need those packages“ These are the usual lines I often hear on the phone during the conversation or during private chat. Tonight was one of those days. I lost 5 guests because of unresolved discussion. Naguluhan ata sa akin yung kausap ko kaya nag cancel na lang. This is one of my dilemma… So to resolve the matter, I created this post so reader and trekkers may understand and get an answer to their frequently asked questions. 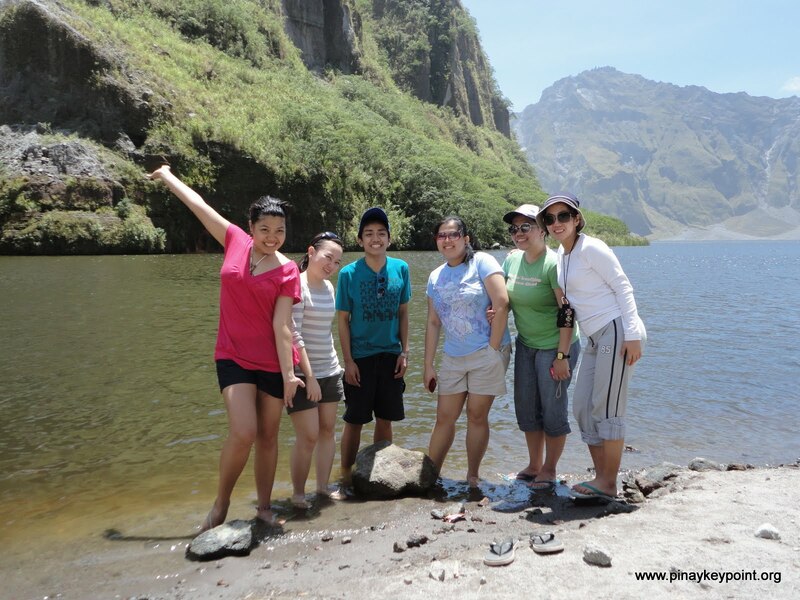 Our package is 2500php per head for a minimum of 4pax per trip. Per trip means 1 4×4 jeep. So this is 10k for a group of 4 persons. “Why 4? Other blogs said 4×4 loads 5persons”. Yes, if we do that, that will be 12500php per trip. Pabor samin yung 12,500. But in this field, Hindi lang kita ang isyu. The services as well. Importante sakin ang referrals. I have many guests in line because of our services. Aanhin ko yung one time na malaking kita if afterwards and daming negative comments? So Balikan natin bakit 4 lang? 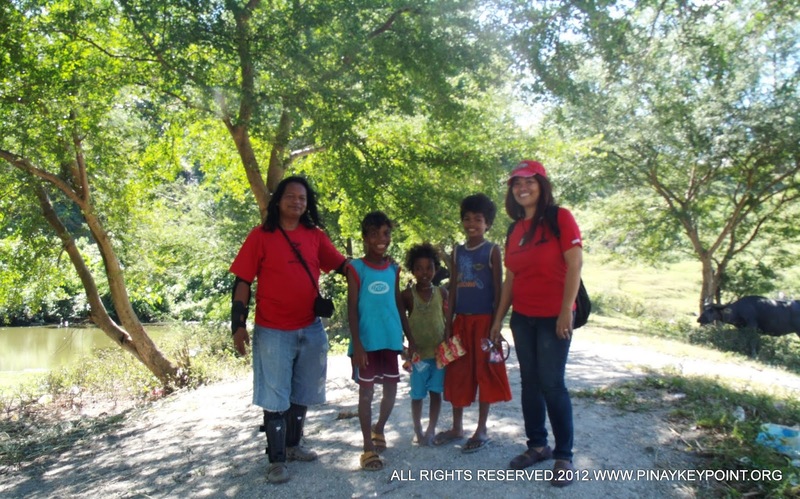 If you would read our inclusions, makikita mo sa package namin ay 1 local tour guide & 1 tour guide from our team. That’s the answer, the tour guide from my team will occupy the remaining seat so 4 guests + a tour guide from my team, that’s 5 persons and yes me bayad din sya, we also pay for the entrance fee of our team member. 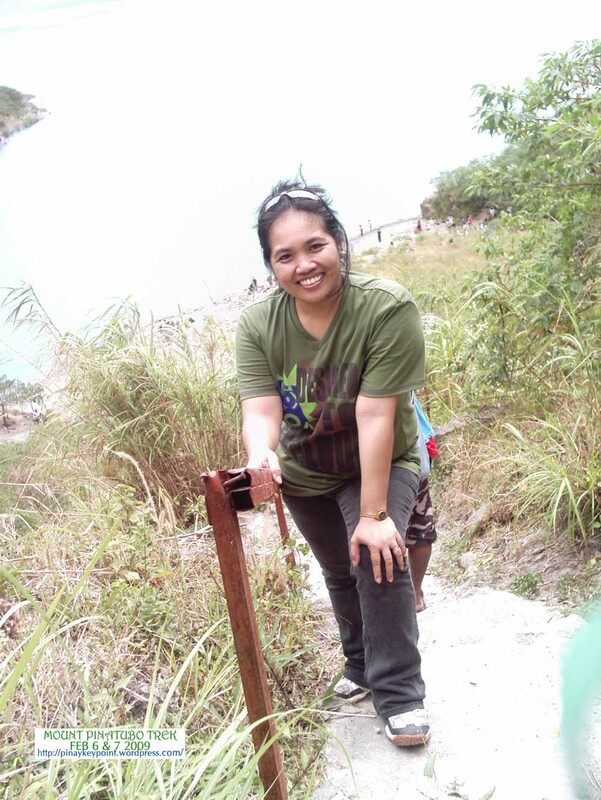 The next question is “bakit me tour guide pa from your team? eh me local tour guide naman”. 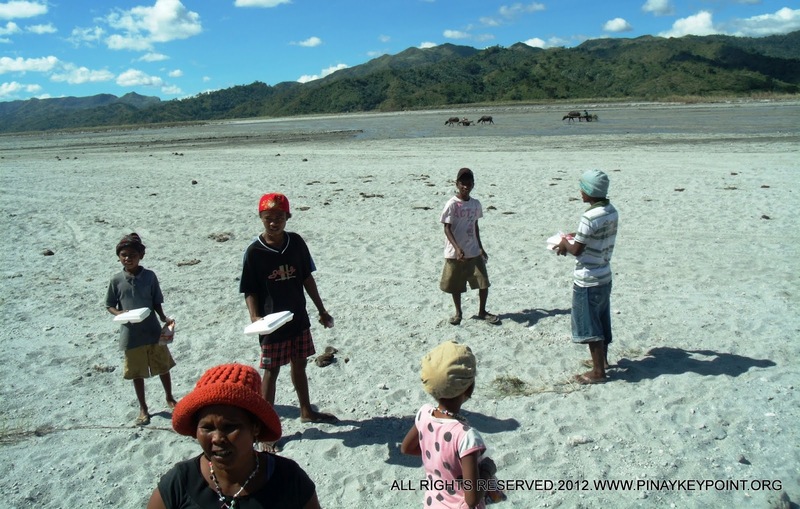 Yes this is true, but most of the local guides are native Aetas. 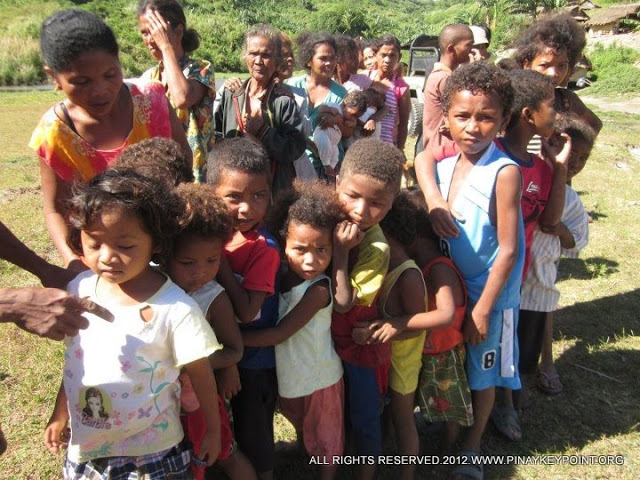 They don’t speak tagalog or english and will just lead your way. Although, there are also some class A tour guides who are local residents in the area and trained by the local tourism office. 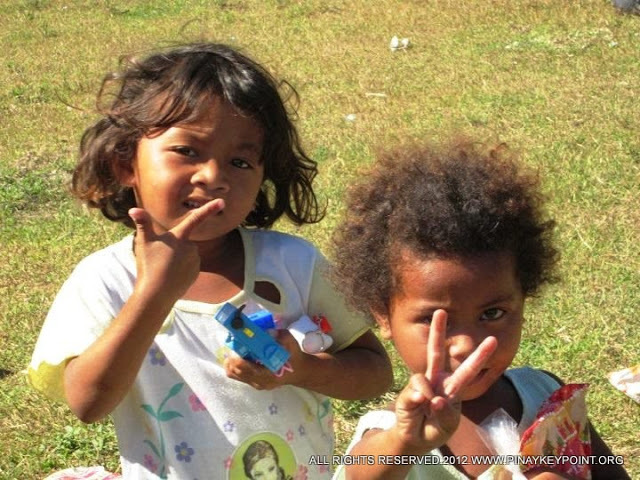 These guides can speak tagalog and basic english. Pero very few lang ang class A guides. 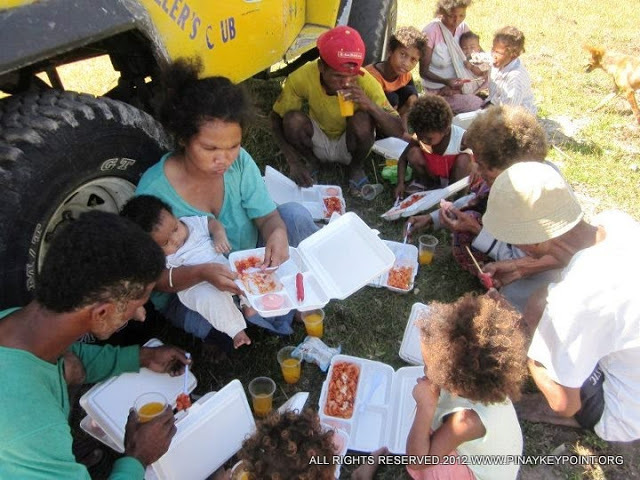 Mas majority ang Aetas kasi this is their form of livelihood. 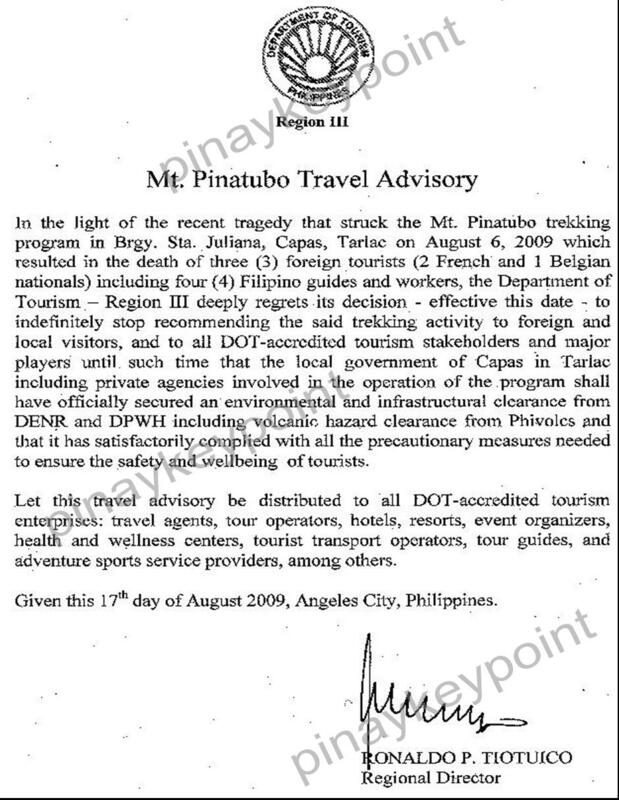 Kami pa nga ang na hire ng Municipal Tourism office para gumawa ng mga tour guide ID nung 2007 pati na rin yung certificate of conquest. Bago ko kasi pinasok ang field na to, we are running a printing biz. Kung tutuusin tama yung sabi ng tourist but I will just say that, this is a volcano, people visit here to have a bonding with nature. Tourism wants it to remain as is. This would look commercialized like a beach if they would construct cottages and the essence of nature will be defaced. From that suggestion, we decided to add tents to our service. Dito na din naiiwan yung mga belongings ng tourist at mas safe naman talaga. Di na rin pipila sa toilet para magpalit ng damit incase naligo ang guests sa crater. Speaking of naligo, swimming is one activity that you can do at the crater aside from taking pictures, video and crater boating. But swimming at the crater requires you to be an expert to be able to explore the 300 feet deep Mt. 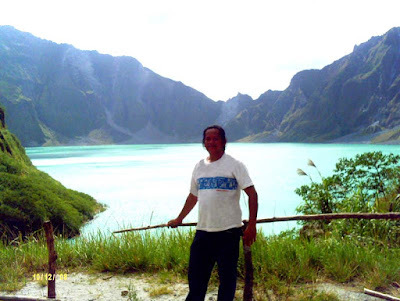 Pinatubo crater lake. Just a meter away from the crater side is a sharp deep ice cold water 😉 Bihira lang din ang naliligo. Nakakatakot naman talaga kasi nga ang lalim! kahit pa nga marunong kang lumangoy, nakakapagod pa din noh, eh pano if atakehin ka pa ng cramps? lagot! wala pa namang life guard. Another reason why we have a guide from our team. Sya na din kasi ang mag se-serve na life guard 🙂 We also provide first aid kit for minor wounds & injuries. meron din basic meds like paracetamol for headaches or stomach troubles. 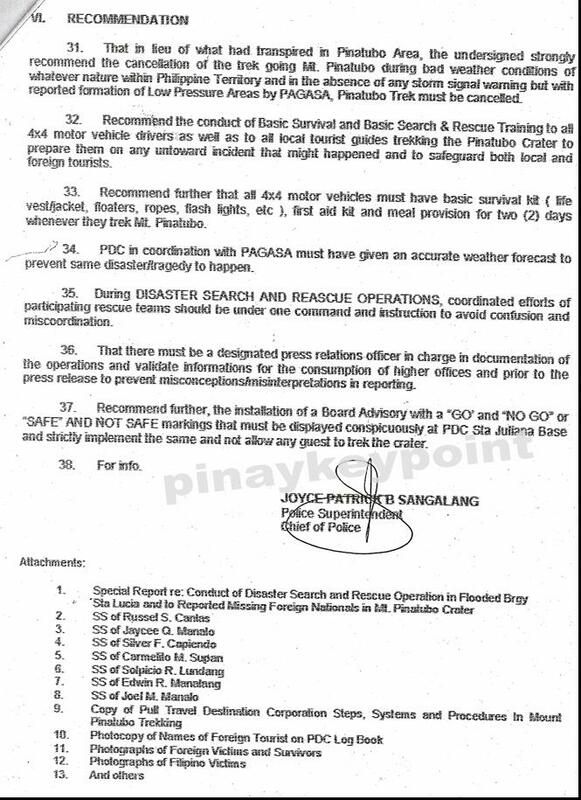 So syempre mahirap pa din makipagsapalaran sa 300 feet deep so we agreed to provide arm floaters as well. And since we provided that stuff, I noticed na halos lahat ng guests namin ay naliligo na sa crater unlike dati na picture-picture lang. Hindi na nga lang simpleng dip eh, as in nagbababad na kasi yung iba halos 1pm na sila umaahon few minutes before pack up time at yung iba naman, tumatawid pa sa kabilang wall! And they told me that they really enjoyed it. Swimming without effort. Hihiga ka na nga lang, dika lulubog. Salamat naimbento ang arm floaters, kahit di ka marunong lumangoy ay makaka explore ka sa water. And lastly, the Food. This is one of the reason why we have a guide from my team. To serve the food hot. As in iniinit yung food, we also have portable stove. And we dont use disposables kasi makalat yun. We bring pans, plates, cups, spoons & fork. Mas masarap pa rin kasing kumain sa plato. The first time na kumain ako sa disposable na styro na take out namin sa fast food, nilipad yung food ko. Masyado kasing windy sa may crater. nabali din yung spoon ko. Nakakainis yun, diko na enjoy yung meal ko. So from those experiences, we tried to improve our service. I also ask for personal feedback. 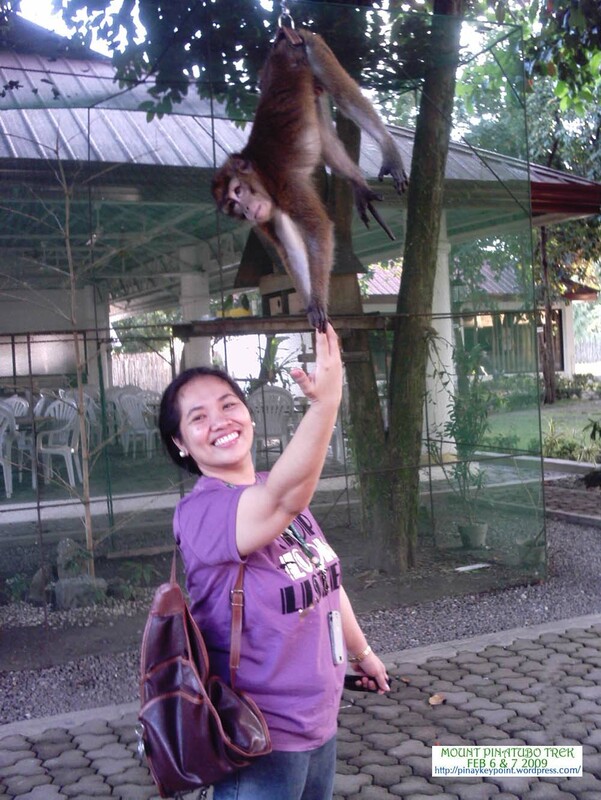 I can conclude that the best feedback from a person are their referrals at nakakatuwa whenever I heard that our new client is being referred by a previous guest and they would tell me, “at last nadito na kami, ganitong-ganito yung nasa picture!” ang sarap pakinggan. As we provide these added features, it means mahirap na bitbitan ng gamit as in we have to pay additional cost for the baggage carriers. We may lose some amount of profit but it’s worth it. If we dont have a guide from our team, pano na lang yung mga albums per team sa picasa? sino ang kukuha nun? Yea, that’s one added feature. We cover your tour, we take pics and compile it per team per date at picasa so you can also grab or download it afterwards lalo na yung iba ay walang dalang cam. 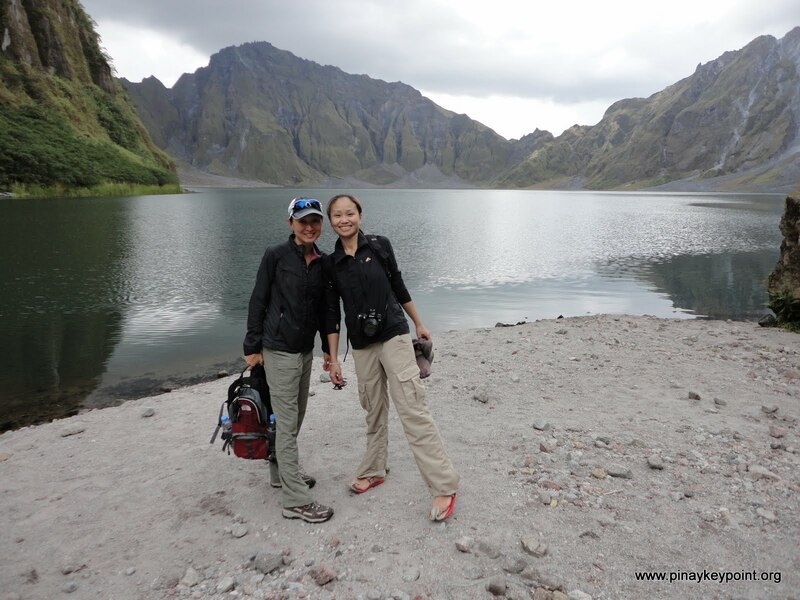 Just click here to view the recent Pinatubo trek activities & pictures and finally syempre me shower. Pwede kau maligo bago umuwi. Pero nagtitipid nga eh. Di kami interested! Okay let’s remove those features. 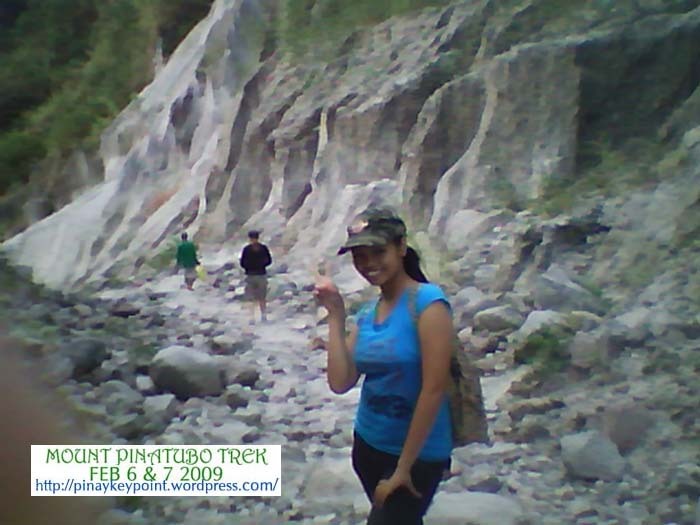 No guide from my team, No food, No water, No skyway fee, No tents, No arm floaters, No shower but just plain trek. Alright! I can give you a tour package of 10k for 5 persons. That is 2000 per head. Wow! so what are the inclusions na lang? PLEASE DON’T BOOK YOUR TRIPS VIA COMMENT. Our common meet-up and pick-up point is infront of Capas Municipal Tourism office beside Capas Municipal Hall along Mc Arthur Higway. Capas is a part of Tarlac Province. Just Ride a bus bound to Dagupan, Pangasinan, La Union or Baguio City as this will be passing along this route. Purchase your ticket at the ticket booth and tell the teller that your exact destination is Capas. The cost of tickets may vary depending on your point of Origin and bus company. 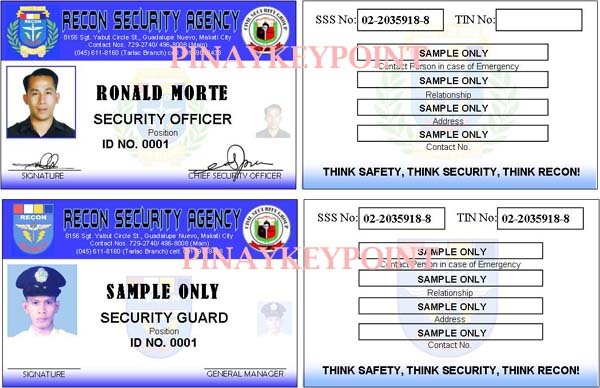 Estimate cost is more or less 200php from Manila to Capas. Price for ordinary bus is also much cheaper. Estimate travel time is only 2 hours depending upon the traffic. You must catch the 4 am trip to meet the time requirement. 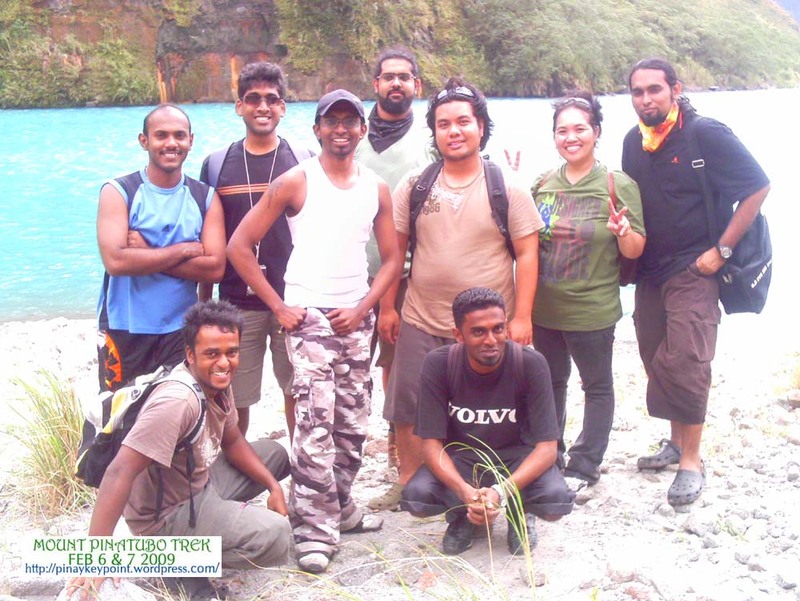 In case you failed to catch the 4am trip, you have to inform us so we can dispatch the trekkers who arried earlier. Be sure to confirm that you are traveling via 4am trip before purchasing a ticket. Some of my guests’ experiences, they just bought a ticket without asking and they were assigned a 5:30 am trip, we waited for ages 🙂 and they arrived finally at 8:30am. If you will be driving your own car, we will provide you a map after your final confirmation. Driving your own car will only take 1.5 to 2 hours depending on your speed and traffic. We usually arrive at the meet up point at 5:50am but we have an advance party, usually the driver who usually arrive at 5:15am just in case you arrive early. If you will bring your own car, you can park it at our contact local resident’s private parking space near the entrance point with 100php parking fee. Starting today I am declaring this spot as the "Wow Point"!! 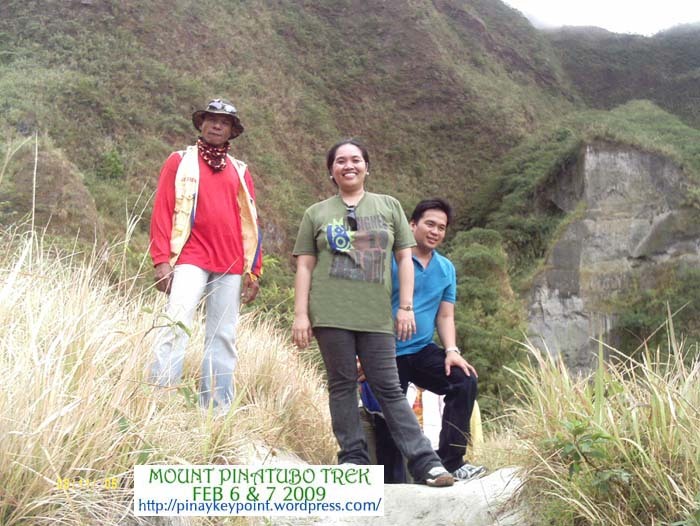 Finally, we conquered Mount Pinatubo! I had a busy week preparing for this 2 days trek. 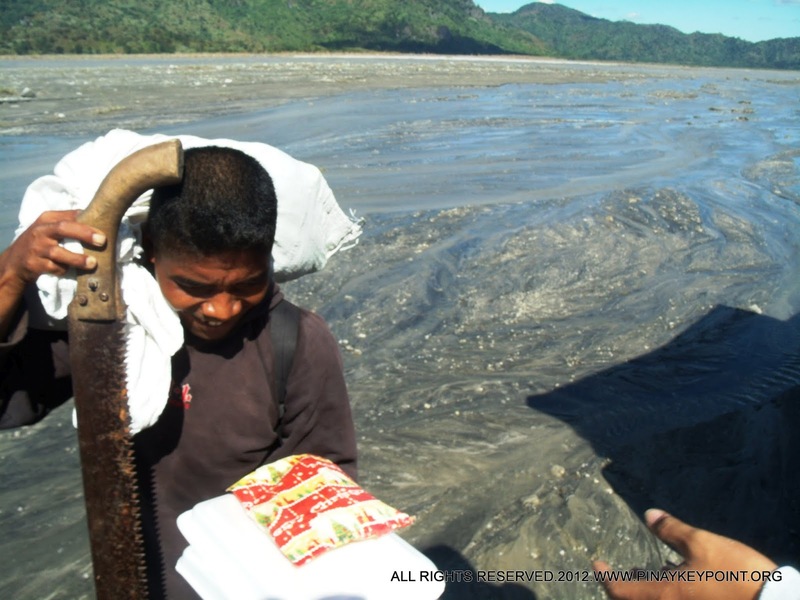 Have to do Hotel bookings, arrange transport service, meet Sanjev’s team at Clark Airport a day before the trek. Have to meet Bryan’s Team and Aaron’s team at Microtel. 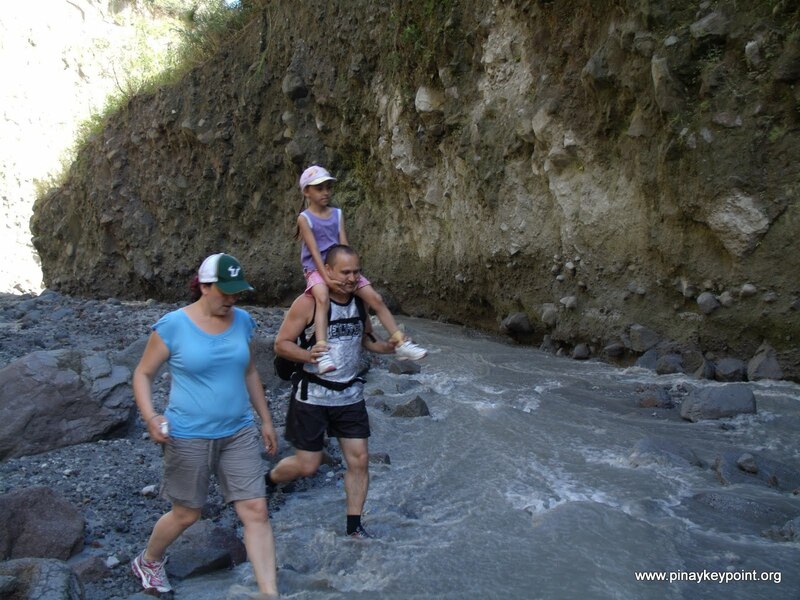 Mount Pinatubo Hot Spring is a different route and you can’t do this on the same day especially now that skyway is no longer passable. 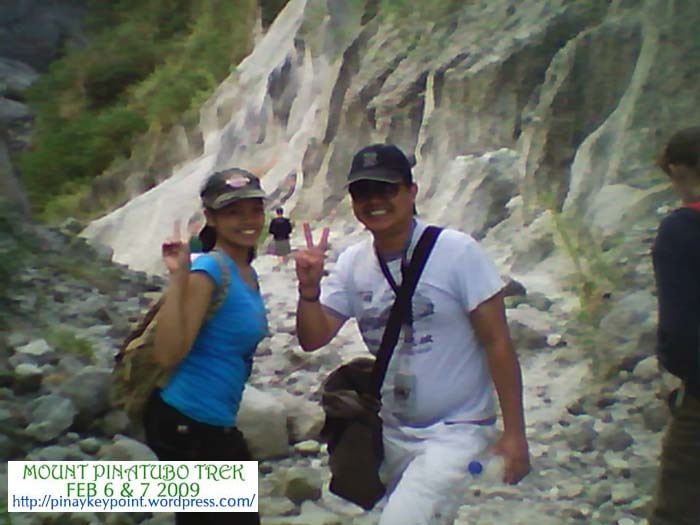 The expenses to Pinatubo Hot Spring is the same as Mount Pinatubo Crater Trek. You will also avail of 4 x 4 wheel drive. 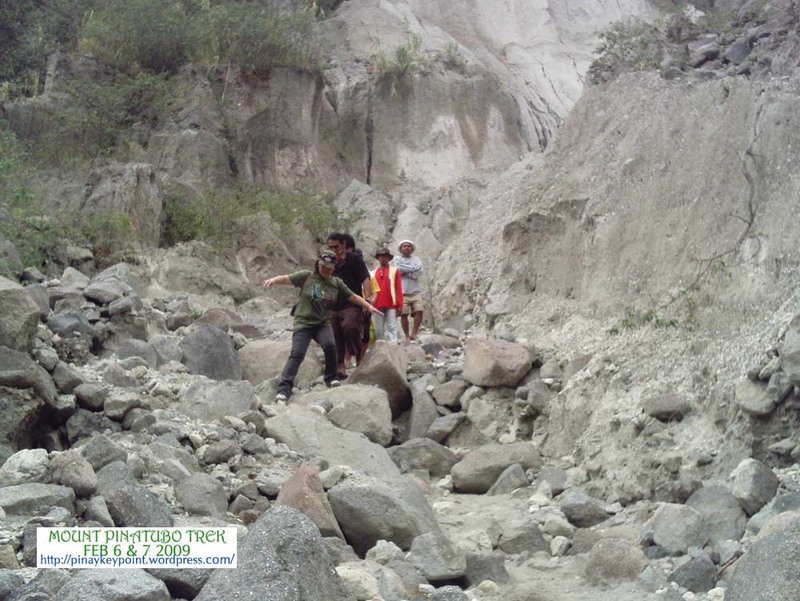 4×4 is the only transport service that will survive the difficult terrain of Mount Pinatubo areas. Travel time is more or less 1 hour. 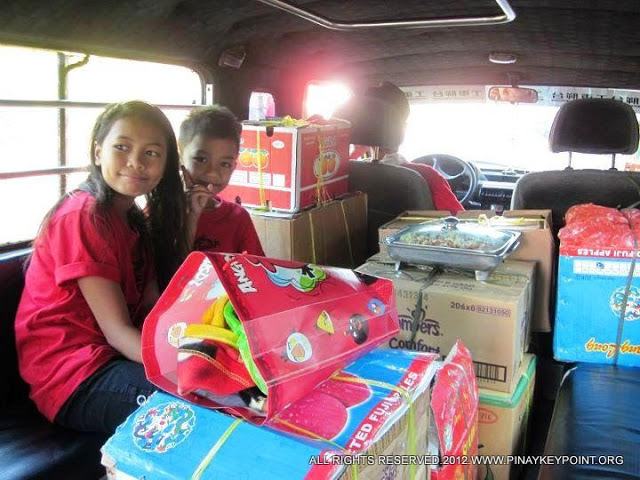 The required load are the driver, 4 guests and 1 tour guide. Please note that it’s cheaper if you will come in group as you will shoulder the entire rent of 4×4 jeep, gas, driver, permits & conservation fee, entrance fee and local tour guides. Secure a Bus ticket at a ticket booth bound for Dagupan or Pangasinan. Your exact destination is Capas Tarlac. You may settle the rest of your at Pinaykeypoint Office. I was informed by my previous clients from Olongapo that the first trip is departing at 3am. They don’t want to take chance to wait for the next trip for fear that they won’t meet the required meet-up time which is 6am. The result is they arrived at 5am and spent 1 hour at seven eleven @ Capas Junction. Ride a bus heading to Dagupan or Pangasinan or Baguio (Ask the dispatcher) If there is no available trip, you may take a cutting trip and may opt to take a bus bound to San Fernando or Dau. Allocate at least 2 hours for your travel time. Exact drop off point is the first gate of Capas Municipal hall. If you arrive early, just send an sms, we will send a guide to meet you at the jump off point. Our office is just few meters away. Exact drop off point is the 3rd gate of Capas Municipal hall. Send an SMS when you reach Tarlac so we can anticipate your time of arrival.